Metrology Systems + Positioning. We design custom Measuring and Calibration Systems. 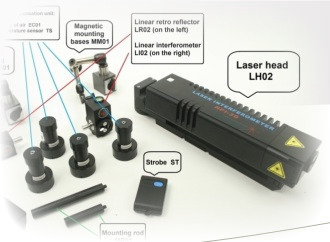 Gear metrology, form metrology, Length Abbe Machines with laser interferometer. NDT inspection (X-Ray diffraction). Special Cutting Tools - We design and provide special cutting tools for Automotive, Power Generation. Training, Metrology Software & related - Statistical Process Control software (SPC), training on MIL STD 105, MIL STD 414, MIL STD 1235, data acquisition, calibration, FMEA, DOE, 6-sigma. (*)Send us your drawings and we'll advise the most cost/effective manufacturing solution. We have a 100% customer satisfaction and money back guarantee policy. Full confidence. INRIM (Italy), NCSL (USA), ISQ (Israel), IIW (Tunisia), ISPEMI (China). Customers CERN, DARPA, SDM, GE, SKF, Danfoss, VW, Getrag, Bosch.